If you want to unblock Netflix on your LG Smart TV, the first thing you have to understand is that Netflix uses your IP Address to locate you. If the IP Adress you got from your Internet Service Provider is associated with another country (there are lists on which IP address belongs to which country), Netflix blocks their videostream. This is called geoblocking. Why do they do this? Because they only have the license to stream their movies and shows to specific coutries. Its similar to the region code on DVDs. To unblock other Netflix regions on the LG Smart TV, it is best to use a DNS service, such as Overplay, SmartDNS Proxy or Unblock-Us. We have the best ones listed for you – but there are various alternatives are available, research them and sign up for the one which best suits you. Under the following table with the best Smart DNS Providers youll find a detailed step by step guide on how to set up your LG Smart TV.. When one wishes to unblock Netflix on an LG Smart TV, the first step is to navigate to the dashboard by pressing the “Home” button on the remote control. On the lower portion of the screen, the cursor will need to select the “settings” option. A separate window will then appear. Up and down arrow keys will be used to scroll through a vertical menu found on the left-hand side of this window. The “option” section should be highlighted and chosen. Another menu will be displayed that includes such choices as standby light, dual play and factory reset. Immediately below factory reset, the choice “Smart TV Setting” should be selected. An entirely different screen will then be displayed. On the top portion of this screen there will be a horizontal menu bar. This section includes selections such as Smart TV country, premium version, ID list and reset. The RESET option needs to be highlighted and selected. The television will display “Change Country for Premium and LG Smart World” and the current country that the device is set for. Immediately below this information, two options will appear: auto and manual. The manual button should be chosen. Once this is completed, the smart television will display a list of different countries (this list may vary from region to region). Choosing one of these countries will configure the LG smart television to this location. Thereafter, the page should be closed using the top button on the right-hand corner of the screen. Alternatively, the exit option on the remote control can be pressed. Finally, the home option should be chosen on the controller. Then, the Netflix app can be activated. Signing in will be completed as usual. This should enable Netflix to be accessed. Should this not work, it is advised to repeat the aforementioned steps and choose a different country from the list provided. 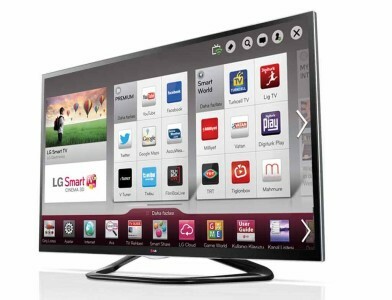 Check out BestSmartDNS for a big comparison of SmartDNS for LG SmartTV. We show you how to unblock Netflix abroad. Its easy! We show you how to unblock Netflix abroad. Its easy! Netflix too slow? 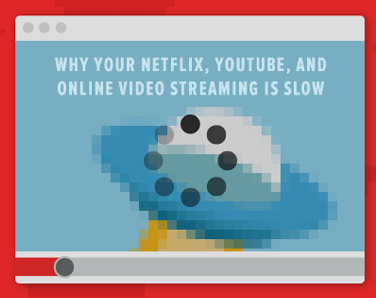 Netflix too slow?